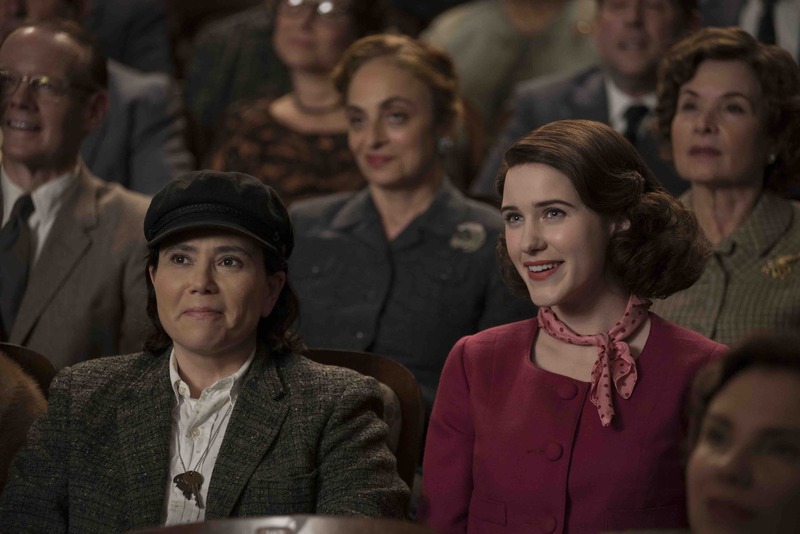 In the current Hollywood climate, Amy Sherman-Palladino’s “The Marvelous Mrs. Maisel” is just what we need. The funniest comedy—the kind that gets the belly laughs and makes your face hurt from smiling while you wipe away the tears—taps into something real, something raw and something relatable. Most often, it also has its roots in tragedy. Ask any stand-up comedian and they’ll have at least one story, if not many, about how the difficult moments of their lives later became the seeds for their most successful jokes. Such is the case for the titular comedian at the center of creator Amy Sherman-Palladino’s new Amazon series, “The Marvelous Mrs. Maisel,” whose most vulnerable moment becomes the launching pad for a revolutionary career in comedy. Miriam “Midge” Maisel’s seemingly perfect, luxurious Upper West Side life as a housewife and mother comes crashing down when her husband, a businessman and aspiring stand-up comedian, leaves her for his young secretary. Blindsided and unsure how to move forward, the sharp-witted Midge haphazardly takes to the stage where she discovers her talent as an earnest and boundary-pushing comedian. In an interview with The Hollywood Reporter, showrunner Sherman-Palladino, best known as the creator of “Gilmore Girls,” spoke about wanting to create a strong but ultimately “joyful” character. There’s something palpably transparent and cathartic about stand-up comedy. When it’s bad, the whole atmosphere in the room changes—but when it works, the audience is connected by a joyous vibrancy that fills the space up. While there is a particularly cringe-worthy “bombing” scene in the first season, failure is part of the stand-up process. What makes Midge an especially inspiring role model is her courage and determination to keep working toward her dreams, even in the face of humiliation and public scrutiny. There is no shortcut to success on this show. But Midge isn’t one to give up easily, despite the many setbacks she faces throughout her story. She stays true to herself and her beliefs which manifest in a comedy act that focuses heavily on the double standards faced by women. She says out loud the things many women were thinking, but few had the bravery to speak into a microphone. Though the setting is New York, 1958, and while women have come a long way since then, her struggles still resonate with current women’s issues, especially in the wake of the overwhelming number of recently exposed sexual assault allegations coming out of the entertainment industry and political arena. 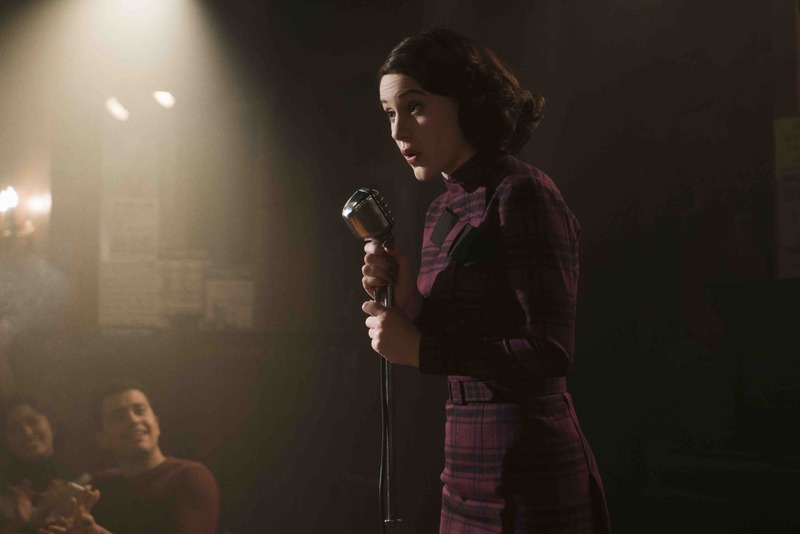 “Season 1 of “The Marvelous Mrs. Maisel” is available for streaming through Amazon.com and intended for mature audiences. Rachel Brosnahan—who stars as the talented and determined Midge—acknowledges the influential strength of the character she plays. “This is one of the most, if not the most, unabashedly confident female characters that I have read, and certainly that I have ever played,” Brosnahan told The Hollywood Reporter. “That felt important to me and feels radical in a way that it shouldn’t anymore.” Brosnahan has since earned a Golden Globe nomination for her performance as Midge. And it isn’t exclusively through the fictional characters and storyline that a precedent is being set for the equitable treatment of women in entertainment. It’s also in the morale of the cast and crew who worked on “The Marvelous Mrs. Maisel” and whose positive production experience has been empowering; in contrast to the “casting-couch” culture that we’re learning is still very pervasive in many corners of Hollywood. “We are on a show that is a part of the solution to this giant problem that we have in Hollywood,” Brosnahan continued. Was a profound moment in Lady Gaga’s recently released documentary, “Five Foot Two,” a prelude to the current news cycle of abuse in Tinseltown? I believe so, here’s why.